It would be fantastic if there was one global family tree wouldn’t it? Well, the One Great Family genealogy site is working towards that. Millions of names have already added and thousands of members have already joined. But why? Within this review I want to show you what the One Great Family website is all about, what tools and features are available and whether it is right for you or not. What is the One Great Family site? This family history site is quite different from all the others online as it isn’t really a genealogy search website at all. It is in fact a global project where everyone shares their family tree and research. As users submit their tree the technology behind this website is actually linking all of these trees together in order to build one great family tree. The developers plan to merge all entered individuals into one single, unified family tree. It is a worldwide effort where everyone helps each other to create this one shared database. This system has been 3 years in the making for One Great Family. They use their so-called “handprint technology” which will fact-check and verify submitted data from users so that there is no duplicate information. So, you can be assured that what you find on this site is accurate. But to mention again this is not a genealogy search site and so you will not find masses of historical records. It will though verify your family history research and help you to connect with others. How to Begin Your Family Journey! Do I Recommend One Great Family? One Great Family uses the “most-technologically advanced online records management software tool“. What this means is that you do not need to download or install any software on to your computer. The software tool does all the hard work so that you can share, view, explore or add to your genealogy from the site. 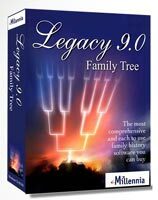 You therefore do not need to purchase a genealogy software program to start using this resource. But if you already do have such a program and have already begun your family history journey then there is no need to worry. After all no one wants to start from scratch do they? 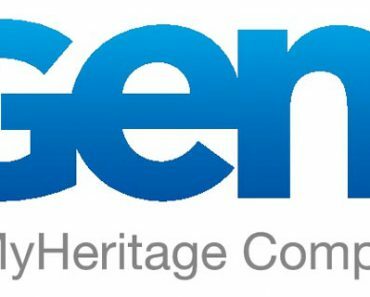 You just simply upload your GEDCOM file to the site and start viewing and working on your genealogy research. If you are not familiar with a GEDCOM file basically this is a file that contains all of the information that you have entered into your software that makes up your family tree. To create a GEDCOM file within your program you will need to either select the option SAVE AS or EXPORT from the menu. Once you have done that you will then choose where on your computer that you want your GEDCOM file to be saved. Then you can upload your file to the site and see where it takes you. If you are beginner though the process to starting on your family tree is quite straight forward. You just begin with what you know. That is information about yourself, your parents, grand parents, and so on. The main tip when using such a genealogy site is that the more information that you enter then the more the site will work for you. That is because the tool behind the site has obviously more to work with and so it can thus help you better. How does the system work though? Yeah, I know what you are asking, just how does it all work? For this system to work One Great Family uses what they call “handprint technology“. The purpose or functions of this technology is threefold. Search for any relevant information to help you – As you enter your information the system will check to see whether there is any existing data within the database that could possibly be of use to you. If there is anything of relevance a Gen-Bulb icon will appear next to your ancestors names to inform you. Will your submitted information help anyone else – This process works both ways and what you enter may be of relevance to somebody else. So they will see a Gen-Bulb icon next to names when you have entered information for a shared ancestor between you two. Check for conflicts with duplicated information – If there is any conflicting information next to an ancestor name a Gen-Bolt icon will appear. You can then collaborate with other members in order to correct the conflicting data. The great thing that I like about this site is that there is constantly new names and information added all the time. So, by the time that you next log in to the site there may very well be new information for you to work with. The system is also robust enough that it can actually handle 100,000s of users at any one time. Therefore, you do not have to worry about the system crashing at all. And finally the great benefit of this site is that by adding your information the system will validate that your information is actually correct and reliable. Besides the Gen-Bulb and Gen-Bolt icons that I have already explained there are other features on this site that will help you. You will get access to multimedia, photos, notes, research, biographies, citations and vital records that have been added to the names within the database. So, although you won’t get historical records per se, you will get very valuable information about your ancestors. A selection of famous people’s genealogy. These range from U.S. presidents such as Abraham Lincoln, Thomas Jefferson and Theodore Roosevelt to musicians such as Elvis Presley, and many more besides. If you are using a Windows computer then you can use the Genealogy Browser feature to work on your family tree. It’s basically an Internet window where you can do all your work. The alternative is the Your Family Tree Tab which can be used on Windows, Mac or a Linux computer. Viewing your family tree will be more appealing with this version, although there are some drawbacks. You will not be able to view or edit conflicts or hints. So, I do feel that it is best to use the Genealogy Browser. Guidance on researching your family tree. Advice on what documents you can use for your genealogy research. Learn all about the origins of names. How to bring living relative together. A selection of third party genealogy sites that you can visit for further help with your family history research. One Great Family makes it really easy to get your family and friends to join this genealogy site. Using this tool all you need to do is add your recipients’ name and email address. A standard email will then be sent out stating that you have joined this site and asking if they could also subscribe. It’s just another initiative that is used to participate in this worldwide project. A selection of Pedigree and Family Group sheets are also provided in the form of PDF files and HTML as well. There is also the Surname Index feature where you can search for your ancestors by their last name. When searching this database you will be presented with a number of matches for you to look through within the database. What’s also cool about this feature is that you get additional information about the surname that you have entered. You can find out the frequency of the surname throughout history, and also how often it has appeared within the United States census. There are 3 different subscription packages that you are able to choose between. So, you can decide whether you want to just join for a month, 3 months (Quarterly), or 12 months (Annual). The Quarterly package is more cost effective than if you decided to join the monthly package, and likewise the Annual package is more cost effective again. There is no difference between the packages whenever it comes to what is offered to you. You will have the same level of access to the tools and features of this site. It will thus depend on how long you want to become a member for. The Quarterly package is thus more cost effective than if you decided to join the monthly package, as you will essentially get one month free. The same can be said with the Annual package as if you do choose this subscription you will get about 3-4 months for free. As your subscription lapses you will be automatically billed for your selected package. So, if you do wish to cancel make sure you do so well before your subscription ends. If you are not keen to pay there is another alternative. You can check to see whether One Great Family is for you with a 7-Day free trial. You will need to fill in your personal information, such as your name, address and email, followed by your chosen password. And even though you have selected a free trial you still need to select between the Monthly, Quarterly and Annual package. After you have filled in your information then you are free to check out the family trees on the site. I would advice though as the period is quite short that you make sure that you have time to check all that the site has to offer. You do not want to sign up only to have one or two days of free time to use it. Please make sure to cancel your subscription before your trial ends. There have been complaints where people have been billed. If you do find yourself stuck along the way then you do not need to worry. As I mentioned earlier the Genealogy Learning Center can help you in a number of ways. 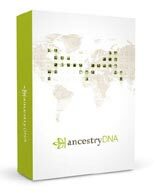 From here you can get guidance on how to use the site as well as gets tips on how to best research your ancestry. However, if you do not find what you are looking for within these tutorials then you can easily contact the staff at One Great Family. You can send an online message, call or write for assistance. As I have reviewed this website I have become quite impressed with what the site has to offer. The developers have gotten to a lot of trouble to make this site a reality, having designed it for 3 years before it was made public. So, you can see that there has been a lot of work being put into it. I like the vision of trying to create one world family tree. It is quite ambitious but with the help of the global population this dream can become a reality. Even though this site is not a glorified genealogy search site you can still get some vital records about your ancestors, as well as other bits of information. And like other genealogy sites there is the potential of connecting with distant cousins. That I find quite impressive and exciting. Some concerns but mostly positive! There is though the obvious concern about billing issues from a number of customers. These people were not happy with what they were expected and did try to cancel their subscription. My only advice is to cancel well before your subscription or free trial ends. And if you do get charged then call or email immediately. There are though some positive reviews where people were really impressed with the amount of information that they received. This is despite them only giving a limited information. So, do I recommend One Great Family? Yes, I do recommend One Great Family. It is a unique website that can really help you with your genealogy research. Help Build The World’s Family Tree! And discover your ancestry in the process! I hope you enjoyed this post reviewing the One Great Family site and what it has to offer. If you have any questions or comments then please leave a comment below. Genealogists are a funny group of people. They do not really want to give up their information unless absolutely necessary. While I see both sides of the fence and being able to tie all of our family into the World Tree would be wonderful. I am going to be hard pressed to talk the old dog (Mom) into learning a new trick and using something like this. She is very tight chested with her information. She feels she put in the time and that the information is hers. She feels its public record and others can easily find it just as she did. I know of many others that mom has dealt with over the years that are the same way. With that being said, sorry it got so long 🙂 I hope a site like this takes off. I myself would be willing to load our information in if mom doesn’t. I do know I am going to show her this information and see what she thinks!! Thanks Eden for your comment. I can only imagine just how hard and laborious to find information. It is so much easier these days. To be honest I haven’t met anyone who hasn’t been willing to share what information that they have. Maybe it’s a generation thing, I don’t know. I am carrying on what research my father has done and he has met cousins who have only been too willing to help. This world tree is fascinating. I feel that this is a great way to give back to te genealogy world, and hopefully get new information as well. I think I will give the 7-day trial a chance when I have the time like you advised to be able to sit with it a bit and get the most from the trial. I can really see how this may not be an immediate benefit to me but more so in future generations of our family making connections. A couple of my aunts have done some genealogy research in the last couple years and I am going to highly recommend that they give this article you wrote a read and check out One Great Family. Thank you for the information and I look forward to checking it out further. You’re quite welcome Christina. Please check out the One Great Family site as well before you do try. Also, tell your aunts to check out the rest of my site as I’m sure there will be more to interest them here. This seems like a cool feature but a lot of work don’t you think? Is it a fairly new site, considering that you said the information still has yet to be put it in? Sounds sort of like a family Wikipedia! It is a good project but with thousands of people helping to put this together makes it that much easier. It’s the technology behind it all that does the hard work. One Great Family was established in 1999 so they have building this great big family tree for quite some time. Personally I don’t think you could join every one up but for me that’s not the point. You are not only giving back and helping others trace their tree but also getting answers for yours, and there’s always the possibility of finding and communicating with distant cousins. Which is pretty cool isn’t it?